Can Algae Restore Sight to the Blind? 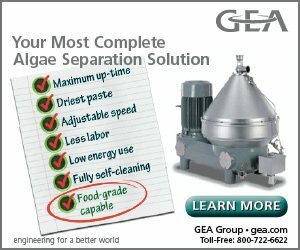 lgae have 3.7 billion years of evolutionary experience with light. Since algae use light for energy, early algae evolved a gene that helped algae recognize the path toward light. 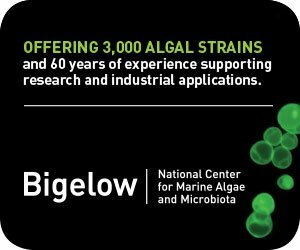 Algae’s ability to recognize light offers several lines of fascinating research that show promise for sight restoration. Retinitis pigmentosa is an eye disease in which there is damage to the retina. The retina is the layer of tissue at the back of the inner eye that converts light images to nerve signals and sends them to the brain. 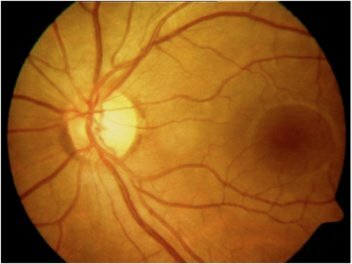 Retinitis pigmentosa is a genetic disease that causes first tunnel vision, then night blindness and eventually blindness in over two million people. The disease degrades the outer retina’s rod cells, which are highly sensitive to light and allow night and peripheral vision. Some patients lose only night vision but others lose daylight vision and some go blind completely. The color-sensing cone cells of their inner retinas slowly degenerate. Although scientists do not clearly understand the pathway, the disease makes cone cells unresponsive to light but often does not kill the cells. This phenomenon leaves a time window where the cone receptors are still there, but not functioning properly. Nerve cells that normally are not light sensitive in the retinas of blind mice can respond to light when a green algae protein called channelrhodopsin-2 (ChR2) is inserted into the cell membranes. The research was published in the April 6, 2006 issue of the journal Neuron. The study focused on mice that had been genetically bred to lose rods and cones, the light-sensitive cells in the retina. This condition is similar to the blinding disease retinitis pigmentosa in humans. Vision normally begins when rods and cones, also called photoreceptors, respond to light and send signals through the retina and the optic nerve to the brain’s visual cortex, where visual images form. Photoreceptors degenerate and sometimes die in some genetic diseases. Both mice and humans go progressively blind because with the loss of rods and cones because no signal is sent to the visual cortex. 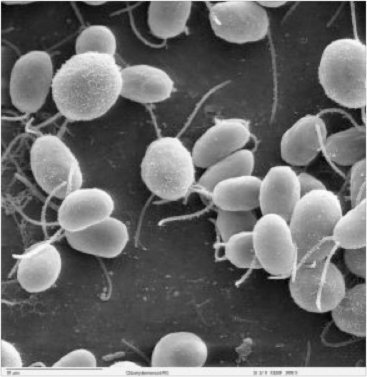 Principal investigator Zhuo-Hua Pan of Wayne State University School of Medicine, and his colleagues, using a gene-transfer approach, introduced the light-absorbing protein ChR2 from algae into the mouse retinal cells that survived after the rods and cones had died. These cells became light sensitive and sent signals through the optic nerve to the visual cortex. Light sensitivity persisted for at least six months. Even though the mice could not see, light sensitivity is the first step in sight restoration. The investigators suggested a number of technical improvements to their experiments, which might restore vision. Researchers at the Friedrich Miescher Institute for Biomedical Research in Basel, Switzerland, restored sight to blind laboratory mice by using gene therapy. Using a virus already approved for human gene therapy, the researchers inserted a gene from a light-sensitive bacterium, Natronomonas pharaonis, into cone-cell DNA. The new treatment may one day allow some people with retinitis pigmentosa, an incurable genetic eye disease, to read, drive and navigate a room. A lecture on optogenetics summarizes the protocol and includes the following pictures. The proteins are encoded by genes CHR2 and NphR. Researchers could then take the genes and put them in neurons. The genes are delivered via a viral vector (Lenti virus) to the specific neurons they want to control and they can then drive the neuron firing at the synapse level in response to light coming from a fiber-optical cable. 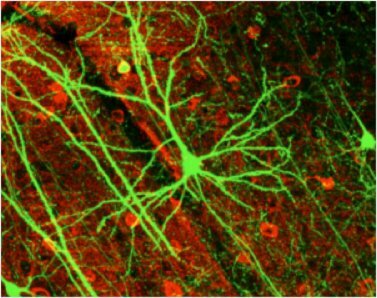 When the genes are coupled with a fluorescent protein, they can make whole neurons/neural circuits light up on activation. The gene provides a blueprint for proteins that form passageways in cell membranes. When stimulated by light, those proteins open up and let negatively charged ions into the cell. When inserted in the mouse cell membranes, these proteins helped mimic the normal activity of healthy cones. Not only did the restored cone cells respond to light, but they also sent signals to the brain so the mice could see. Even though the cells were so degraded they were blind, they stayed connected to the brain circuitry. Restored cone cells did not act like normal cells and could not adapt to different light levels. The cells responded to bright yellow light. In order for human patients to see in dimmer light, researchers would have to develop special glasses with light-sensing cameras to adjust the intensity of light projected to the patients’ eyes. This form of gene therapy is not yet approved for humans but is likely to offer applications for other eye diseases like macular degeneration and retinal damage due to diabetes. The human retina contains about 120 million rods, which detect light and darkness, shape and movement. The retina also contains about 7 million cones, which detect color. Current textbooks state that without rods and cones, eyesight simply would not exist. New research suggests there was some form of vision before sophisticated rods and cones evolved. The research offers new hope to people who have severe vision impairments or who are blind. A team led by biologist Samer Hattar of The Johns Hopkins University found that mice that purposely bred without rods and cones could still see. The mice could see light but even more important they could see patterns and images. 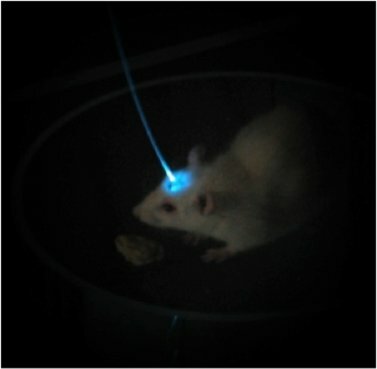 Special photosensitive cells in the rodents’ retinas enabled some sight. Until now, scientists thought those cells, called intrinsically photosensitive Retinal Ganglion Cells, (or ipRGCs), did not play a role in image formation, but instead served other functions, such as dictating when the animals went to sleep or woke up. All mammals, including humans, have ipRGCs, as well as rods and cones. Hattar noted that the study shows that blind mice could form low-acuity yet measurable images, using ipRGCs. The research suggests that theoretically, a blind person could be trained to use the ipRGCs to perform simple tasks that require low visual acuity. Hattar’s findings hint that, in the past, mammals may have used their ipRGCs for sight/image formation. Somewhere during the course of evolution, that function was upgraded by rods and cones. The team used a special system to genetically label cells and then “trace” them to the rodents’ brains before subjecting the mice to a number of vision tests. In one test, mice faced a “Y”-shaped maze and could only escape by selecting the lever that would let them out. The lever was associated with a certain visual pattern. The mice that were truly blind – they lacked rods, cones and ipRGCs – could not find that lever. Mice that lacked rods and cones but had ipRGCs solved the lever problem. New research presented by neuroscientist Alan Horsager from the Institute of Genetic Medicine at the University of Southern California suggests that using genes from algae injected into the retina may lead to a treatment for some forms of blindness. 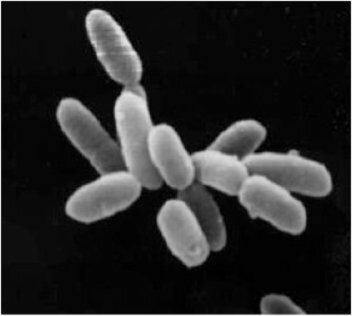 Horsager’s team is working with gene therapy and the gene responsible for making Channelrhodopsin-2 (ChR2) in algae. This photosensitive protein helps direct algae toward a source of light. Over 15 million people suffer from some form of blindness, with the most common conditions being retinitis pigmentosa and age-related macular degeneration. Both of these conditions occur when disease or age damages photoreceptors in the eye. Photoreceptors are responsible for transforming light entering the eye into electrical impulses, but when damaged, the brain is unable to receive this information. Chemists believe they may be able to replace damaged cells in the retina with similar ones found in algae. 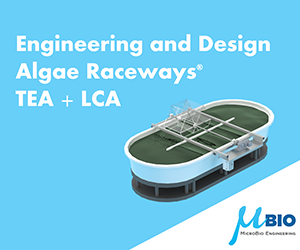 Algae are photosynthetic and very sensitive to light because photons provide their energy. Scientists hope to use the same cells algae use to seek out sunlight for photosynthesis to replenish damaged cell equivalents in the human eye. The teams tested a protocol where they injected the algae gene into mice retina. Ten weeks after the gene injection, the bipolar cells were producing the ChR2 protein. They tested sight by putting mice in a maze of water with where only one of six possible paths had a ledge to get out of the water. Shining a light through the path with the ledge, the gene-treated mice were able to find the path 2.5 times faster than the untreated blind mice. Early tests show that blind mice were able to see light again after treatment and that the effect appears to be permanent. The team continues their retina research and hopes to begin clinical trials in humans within the next two years.